~~> Take care of the cutest, wildest baby twins ever! They’re a handful of trouble & fun! ~~> Dress up your twins in adorable clothes, feed them yummy snacks, take them to the doctor & so much more! 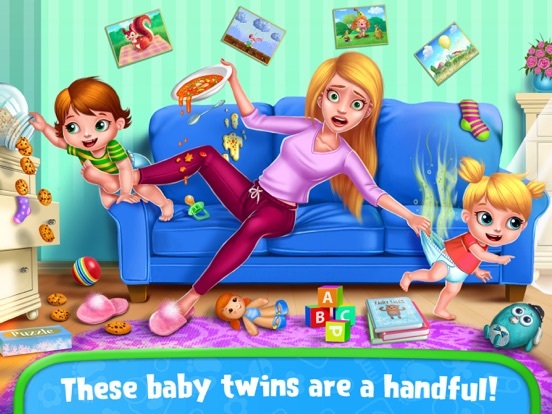 ~~> Play silly games, enjoy coloring pages & solve puzzles with your favorite twins! There’s so much to do with your silly twins! Get ready for double the trouble, double the fun! > Dress up your twins in adorable matching outfits! > Design unique clothing & accessories for your twins! > Decorate your twins’ bedroom! Build cribs, chose room decorations & more! > Feed your baby twins yummy snack! Don’t make a mess! > Give your twins a warm bubble bath! > Doctor time - check your twins’ throats, give them medicine & help them feel better! 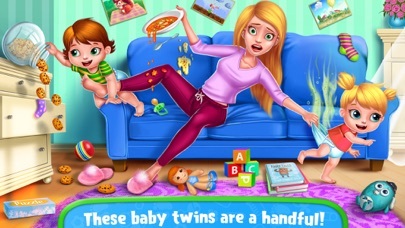 > Paint, play & solve puzzles with your hilarious twins! > Tuck your twins into bed - good night, silly twins!